Interested in teaching to strengthen your marriage? 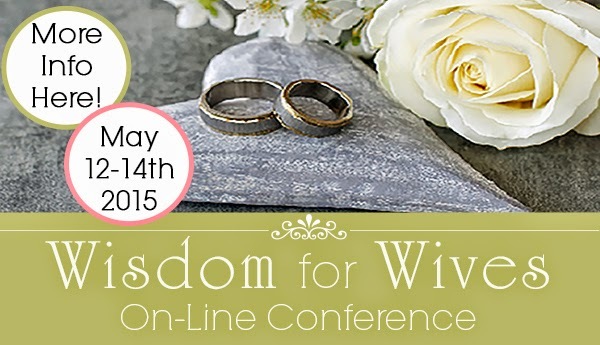 Check out the Wise Woman Conference coming ONLINE May 11-13 (you have one year to view the 11 speakers) Click HERE for more info. You are so welcome, Michelle!! Hi Juana! Please pray for my husband and I to have work, the oil and gas industry is not doing so well right now. many people are being laid off. I would really appreciate you lifting us up in your prayers. Hi Naomi, the Lord will visit you and grant your family peace in every area. May you find help in unusual places in Jesus Name. Father, we lift up Naomi and her husband. You know their every need, we pray for them to have work that they may provide for their family. Thank You Father for loving us and meeting our every need. In Your Son's Name, Amen. Dear Loving Lord, We pray right now for Naomi and her husband to have the work You choose for them to do. Lord, you know their needs before they ask. Guide them to the right jobs, Lord. All our hope is in YOU. In Jesus' name, Amen. Thank you all for praying for us! I found out this afternoon that I have another project to work on. Praise God! Hi Juana, how are you? Hope your Easter went well? Hi Ifeoma! I hope the release of your book is going well and blessing others as you point them to the Lord! Easter was wonderful and it was our anniversary (34) and my Mary's birthday all in one weekend with Easter! Pray for Libby today as she has an appointment with her Neurologist. She has been experiencing Neurostorms lately that are not good for her, and scary for her parents. They need answers & PEACE. Also for our 22 yo son to have direction. There is a coop program with Mercedes that would be right up his alley & be a wonderful career for him. Prayers for him as he starts the process. Prayer for our 3rd son who will be graduating from HS next month. He has a bad case of Senioritis and been lazy with his school work and his attitude is not what it should be. Oh Heavenly Father, we continue to lift up baby Libby to YOU for your protection and care, and for her parents to have the peace from YOU that passes all understanding. Guide Jana's son towrds the coop program that YOU would have Him do. We know YOU open doors and close doors, and He needs your guidance. we pray for Jana's youngest in this special time of High School coming to an end, Lord help him to endure and do what he needs to do that he may grow in responsibility and know that You see and care about every detail of his life. In Jesus' name, Amen. Libby's appointment went well yesterday. Her Neurologist feels that the diagnosis of Infantile Spasms given last month when she was in the hospital was incorrect! So they are weaning her off the steroids over the next three weeks. Praise be to God!